MCTs are smaller. They permeate cell membranes easily, and do not require special enzymes to be utilized effectively. MCTs are easily digested, thus putting less strain on your digestive system. MCTs are sent directly to your liver, where they are immediately converted into energy rather than being stored as fat. 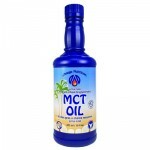 MCTs actually help stimulate your body's metabolism, leading to weight loss. Coconut oil does not produce an insulin spike in your bloodstream. Another key value from MCTs is that they can appreciably increase the bio-absorption of other fatty vitamins, say Vitamin A or D, or Co-enzyme Q10, when taken in conjunction. Coconut oil also has a high content of Lauric acid which has appreciable anti-viral and antibacterial properties and its content of Capryllic acid provides anti-fungal action. Omega-7s include several different fatty acids.They are monounsaturated fats. 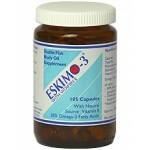 The richest source of this type fatty acid is sea buckthorn berry oils. It has the highest Omega-7 potency of any known natural source.It’s also commonly recommended to help fight premature aging symptoms such as wrinkles, dryness, loss of elasticity, malnourishment, and other signs of ageing. 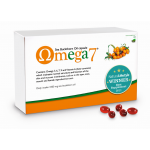 Omega-7 is a fatty acid with tremendous benefits for dryness by nourishing and lubricating the mucous membranes. 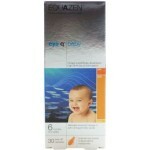 Externally it provides the nourishment and moisture needed to repel harsh conditions, chapped and cracked skin. Internally, it aids the body’s lubrication channels from the inside out such as the hair, skin, and nails. 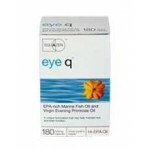 It benefits those suffering from dry eye conditions. Women with post-menopausal vaginal dryness have also experienced success taking sea buckthorn internally for its mucous membrane nourishing properties. Omega-7 can reduce risk of type II diabetes, prevent the build-up of atherosclerotic plaque, increase beneficial HDL and lower an inflammation marker called C-reactive protein, which is associated with an increased risk for heart attack and stroke. In these ways, omega-7 is able to reduce risk of the negative consequences of metabolic syndrome. 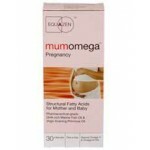 Omega-7 has an ability to rejuvenate the skin and promote healthy healing after damage. It is a powerful source of nourishment for the skin’s collagen, strengthening existing skin and repairing injuries. Eastern medicinal systems have long relied on Sea Buckthorn to relieve ulcers and other gastrointestinal problems. In healthy humans, CLA and the related conjugated linolenic acid (CLNA) isomers are bioconverted from linoleic acid and alpha-linolenic acid, respectively, mainly by Bifidobacteriumbacteria strains inhabiting the gastrointestinal tract. However, this bioconversion may not occur at any significant level in those with a digestive disease, gluten sensitivity and/or dysbiosisCLA is found in the diet primarily in meat and dairy, with much higher content from grass fed animals. 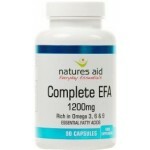 The conjugated form of linoleic acid is a combination of the different forms in which linoleic acid occurs in nature. It may be beneficial in numerous health conditions, including heart disease and cancer, and may reduce body fat. CLA can also be taken as a supplement. CLA appears to be involved in the regulation of fat, or adipose tissue, by the body. improved muscle to fat ratio is believed to stem from improved insulin sensitivity which allows fatty acids and glucose to easily move toward muscle cells and away from fat issues. 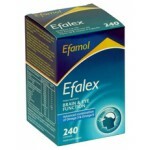 helps those with diabetes by improving the movement of glucose into cells, which assists in lowering insulin levels. 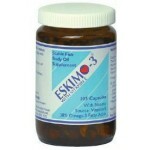 Cetylated fatty acids are a group of naturally occurring esterified fats. Cetyl myristoleate receives the most attention. Many products that contain cetyl myristoleate also contain a mixture of other cetylated fatty acids. Commonly they are produced from beef tallow. Cetylated fatty acids might help lubricate joints and muscles, soften tissues, and increase flexibility. They also might help the immune system and reduce inflammation and hence used for arthritic conditions.Celadrin® is a patented product from these fats. Celadrin® has been clinically studied at various times with results published for both oral and topical applications. Celadrin® decreases inflammation and lubricates cell membranes throughout the body, restoring fluids that cushion bones and joints to promote flexibility and mobility. Over time, because of the reduction of inflammation delivered by using Celadrin®, the joints and surrounding tissue have an opportunity to promote healthy joints. Celadrin® works similar to, but much more dramatically than the fatty acids EPA and DHA from fish oils. Celadrin’s complex blend of esterified fatty acids; provide many vital and beneficial effects for the inflammatory responses in the body. Celadrin® induces changes at the cellular level, in the cell membranes which positively affect the responsiveness of the cell membranes. This aids in the reduction of cartilage breakdown in the joints.